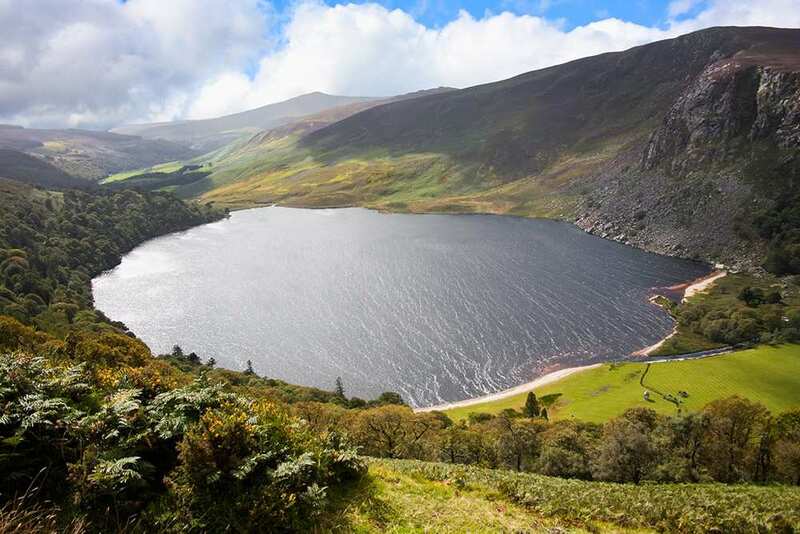 Sample the Wicklow Way on a short self-guided walking holiday: the perfect weekend getaway. Accommodation, luggage transfer and custom holiday pack included. 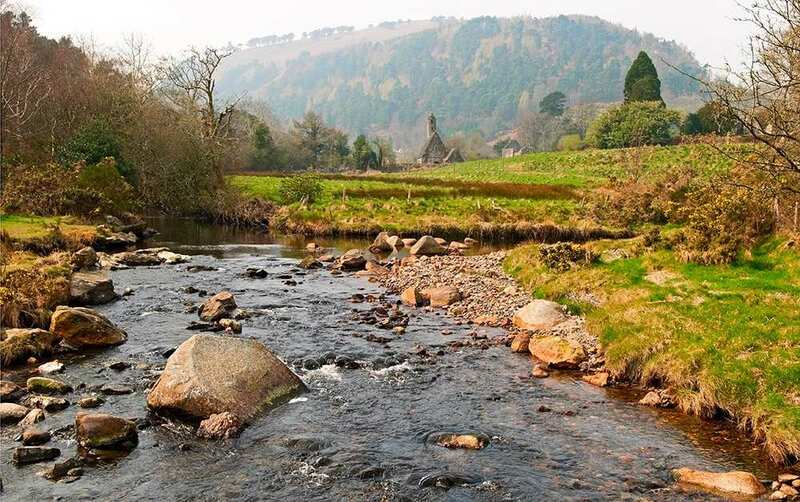 A short walking holiday from Dublin to Laragh through the Garden of Ireland. 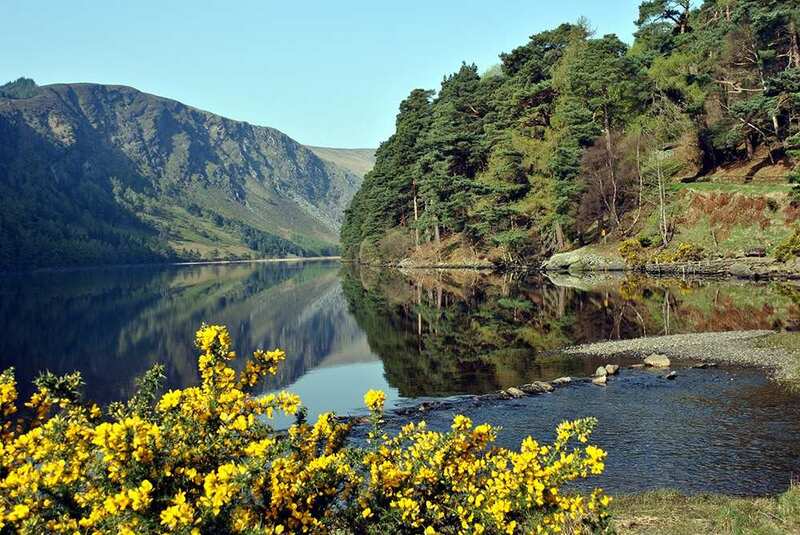 The Wicklow Way Short Break is the perfect solution for those with less time. 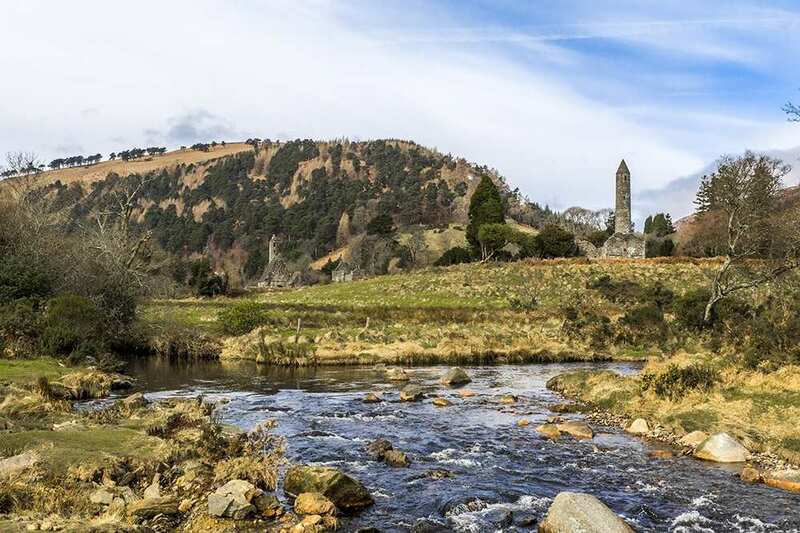 It follows the Wicklow Way as it meanders from Dublin to Laragh, near the village of Glendalough. 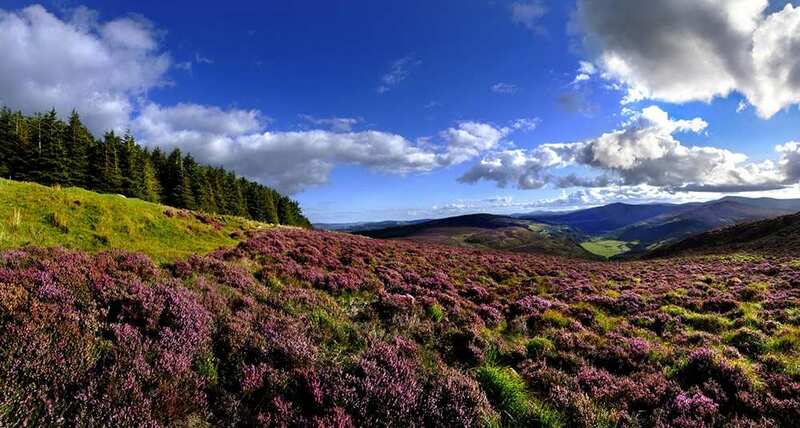 The walk crosses the Dublin Mountains and the Djouce Mountain, offering rewarding views from the summits, as well as the enchanting valleys of Glencree and Glendalough. The settlements along the way are worth exploring, including Enniskerry, known as the ‘gateway to Wicklow’, and Roundwood, the highest village in Ireland. The stunningly beautiful scenery, fascinating locations and charming villages of this trail are sure to satisfy and entice walkers of all tastes. Admiring Ireland's highest waterfall from the viewpoint over Powerscourt Waterfall. 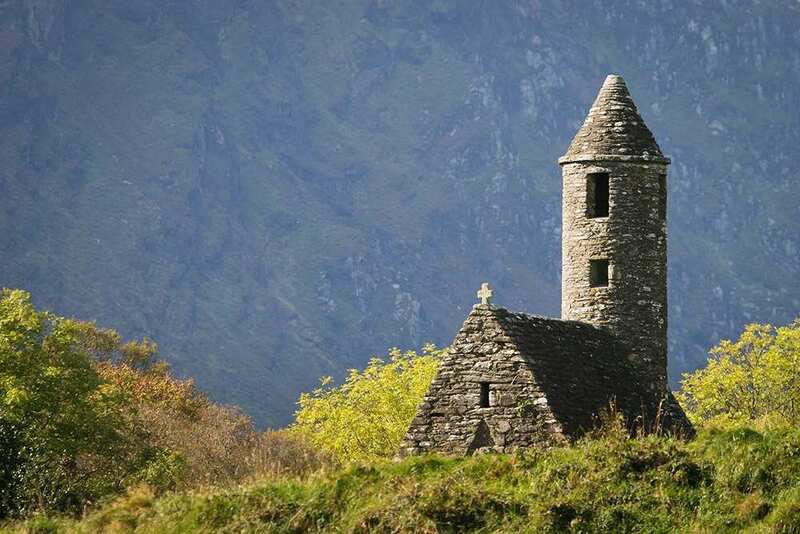 Visiting the enchanting monastic settlement at Glendalough and exploring its intriguing history. Catching a glimpse of Ireland's Sika Deer while meandering along forest tracks. To ensure that you are accommodated within close proximity of restaurants, cafes or pubs for your evening meal, our Wicklow Way tours involve some short transfers. These are all pre-arranged and included in the cost of the holiday. All information regarding transfers will be included in your holiday pack, but if you would like more information prior to booking, please do not hesitate to contact us. Due to a lack of accommodation in Curtlestown Wood you will be accommodated in Enniskerry. Transport is provided to take you from Curtlestown Wood to your accommodation and return you to the path the following morning. Due to a lack of accommodation in Oldbridge you will be accommodated in Roundwood. Transport is provided to take you from Oldbridge to your accommodation and return you to the path the following morning. An extra night is an excellent way to extend your holiday and to ensure that you have enough time to visit the wonderful attractions along the trail. 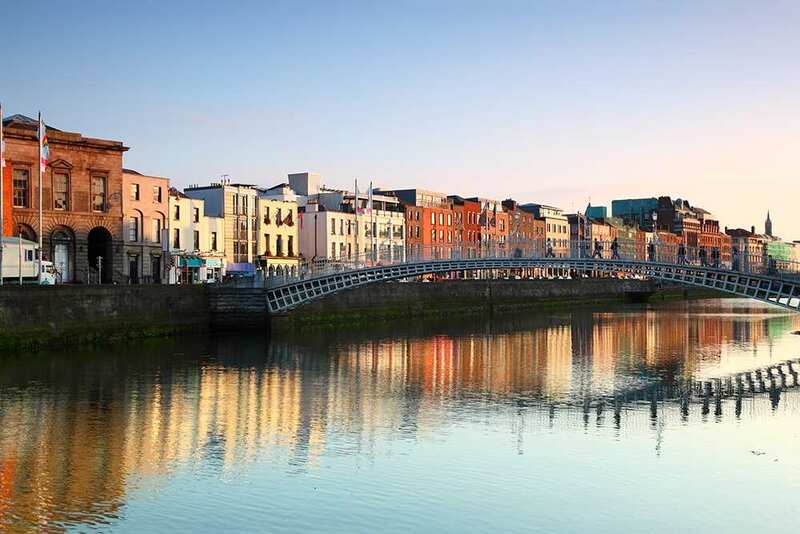 If you like the liveliness of the city, an extra night in Dublin at the start of your walk will give you time to explore its many fascinating shops, cafes, museums and historic sites. It is also a UNESCO City of Literature, so perfect for fans of Literature. Enniskerry is a superb choice for a rest day. 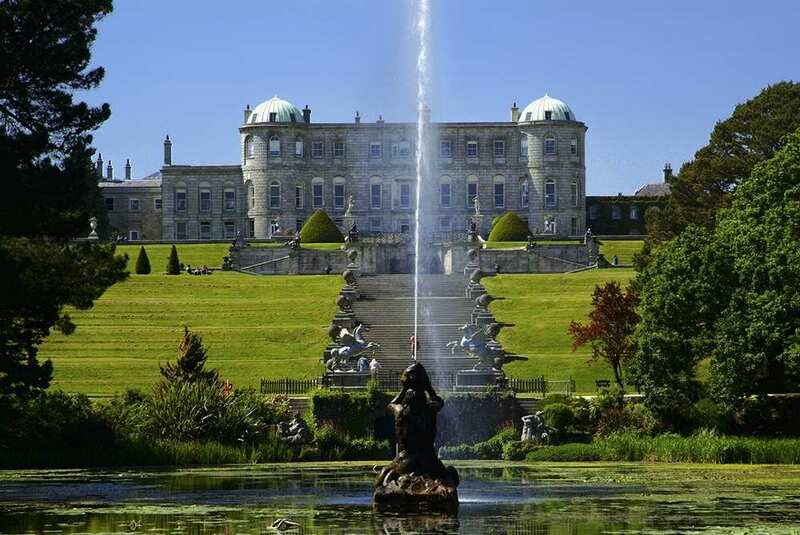 From here, you can visit Powerscourt House and gardens, as well as its magnificent waterfall. An extra day in Roundwood is a good choice for those wishing to explore the surrounding valley and Lough Dan. By Air: The most convenient city and international airport is Dublin. There is a bus service between the centre of Dublin and Dublin Airport. 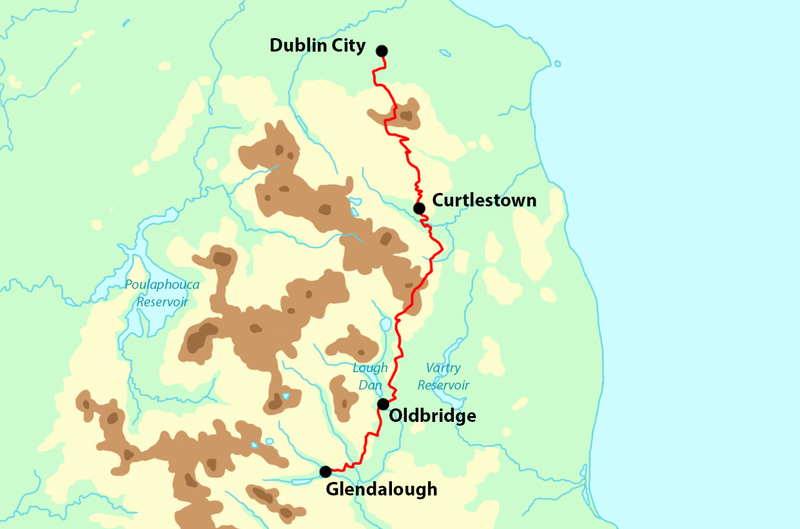 By Rail - There are two major railway stations in Dublin at the start of the trail. The nearest railway station to the end of the walk is at Rathdrum (8 miles away). 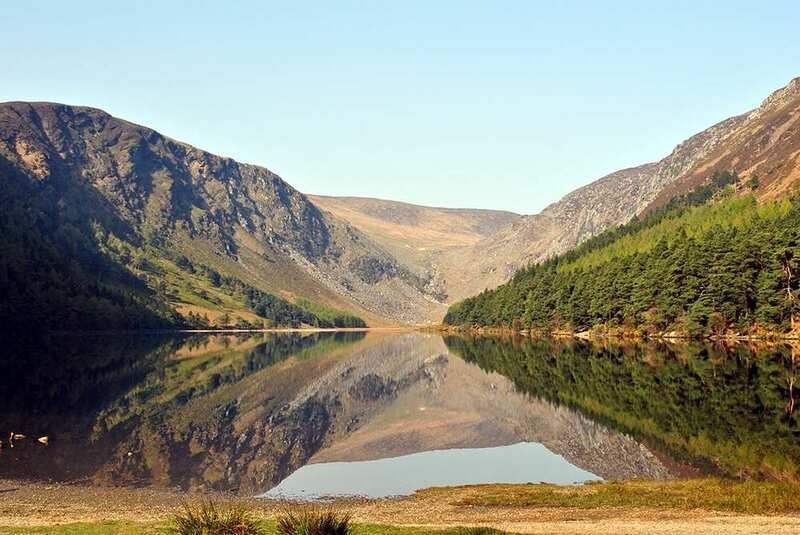 By Bus - Various bus services run through Dublin and Laragh/Glendalough. From Dublin - Take a bus or taxi to your accommodation. 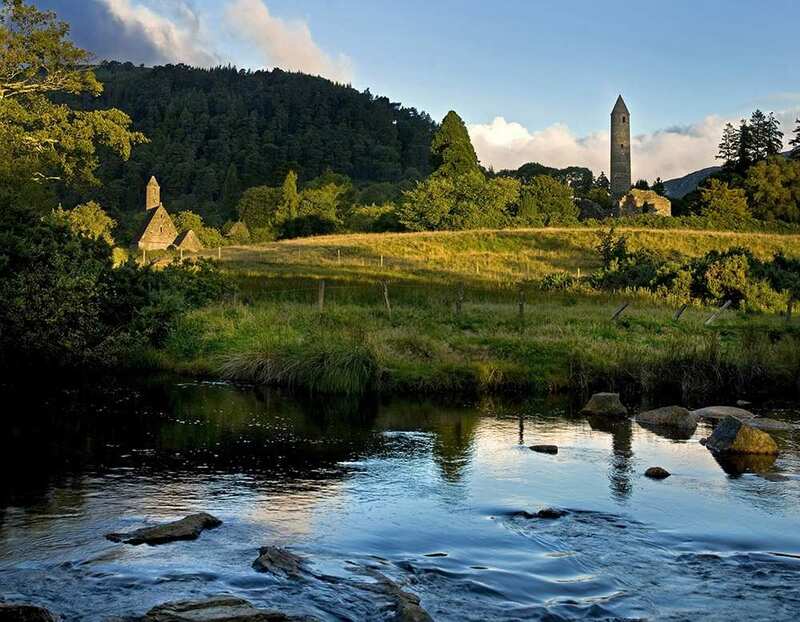 Return to start - The easiest way to return to the start of the trail is to either take the bus from Glendalough to Dublin, or take the bus to Rathdrum, followed by the train to Dublin. Various buses run from the city centre to the airport, or you can take a taxi.